The trend with every new elected government is to go for an austerity drive at the beginning of its term, until it ends its term with an even more bloated current expenditure. The third democratic government seems set to implement new austerity measures, but unless it learns from what did not work and why in the first two governments, then its plans could also head the same way. The issue at hand is to recognize that the biggest problem is the sheer size of Bhutan’s civil service, and so the focus should shift from simply increasing its ranks to making it more efficient. Another major issue is to ensure that the resources being allocated and spent are actually having the intended impact. The current government procurement and budgetary system is so convoluted that often funds fail to make the impact they are meant for. This is made worse by a civil service culture that revels in rules and procedures, turf battles, compartmentalization and the disinclination to take any initiative or risk. Not every government agency or expenditure is the same and so cuts should be applied after studying the ground realities and its impact. 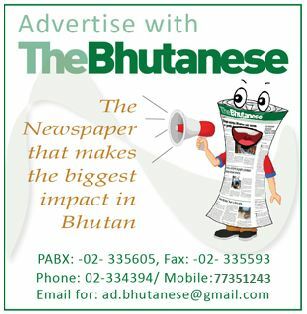 A good example is the advertisement budget of the government which is the main source of sustenance of the media. In line with past trends of cutting this small expense, the current austerity measure encourages online procurement over advertising. While the state owned media houses which enjoy government subsidy or support will survive, it will be the final nail in the coffin of a private media whose decline started with the instructions from the Ministry of Finance in 2010 to limit advertising to mainly state owned media. Austerity measures should focus more on cost benefit and cost effective issues, and on addressing the core issues. It should not be a blind carpet bomb attack that does harm, but ends up not achieving its main aim.